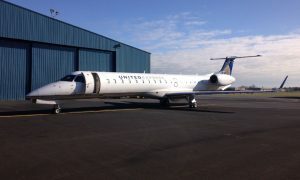 CommutAir today confirmed that its pilots, represented by the Air Line Pilots Association International (ALPA), ratified a new four year contract that the company called a “significant accomplishment in light of a very challenging employment environment”. 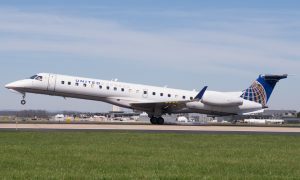 The new four year deal addresses key quality of life and pay issues as well as important productivity concerns as the Company implements significant growth plans with the addition of 40 Embraer ERJ145 jet aircraft to its fleet pursuant to the recently announced five year flying contract with United Airlines. In addition to the announced aircraft growth the Company has established a “Career Path Program” CPP with United Airlines where participating pilots are offered the option to transition from CommutAir to United after meeting various service, performance record and accumulated flight hour requirements. 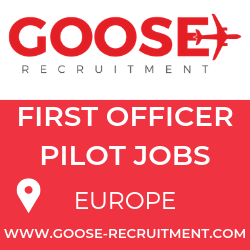 “This contract conscientiously addresses the key concerns of our pilot group. Couple that with a fast track to captain, because of our planned growth, and the ability to establish a career path to United, via the CPP, and we have an unbeatable package,” said Joel T. Raymond, Chief Operating Officer. “A pilot looking for a rewarding career need not look any further than CommutAir,” he added.